For the most part, today is a day of cheer and joy in the tech world. 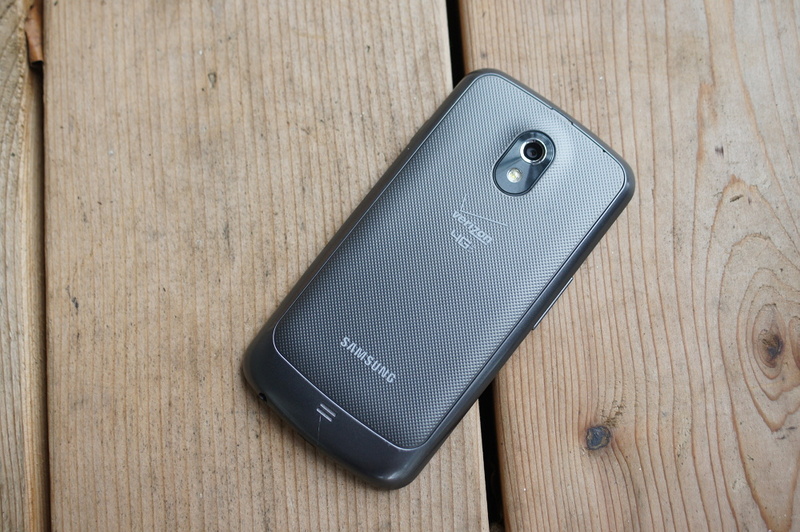 Whenever Google announces a new version of Android and a new Nexus phone, we can’t help buy throw our own little party. 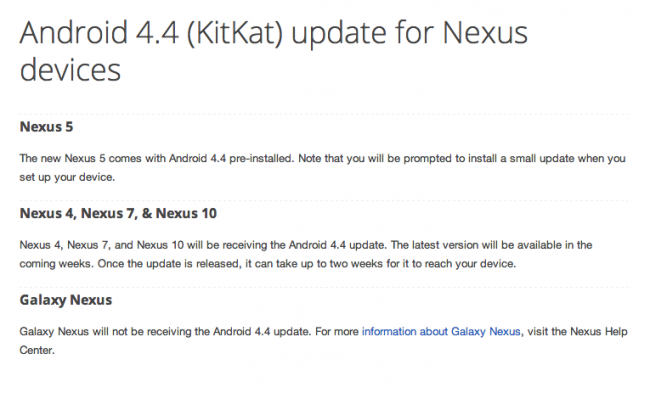 But if you happen to own a Galaxy Nexus, and plan to hang on to it for a while longer, you’ll be disappointed to learn that the phone will not be updated to Android 4.4 Kit Kat. 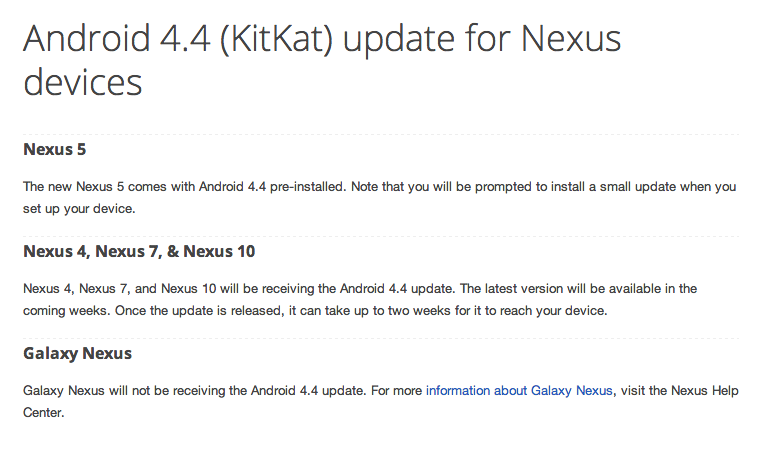 According to the official Google support page for Nexus devices, only the Nexus 4, Nexus 7 and Nexus 10 will see the update to Android 4.4 outside of the Nexus 5 (which is already running it). The G-Nex has officially been retired. Update: Keep in mind that the Galaxy Nexus runs a Texas Instruments OMAP processor, and TI isn’t really in the mobile game anymore. Can be difficult to support a device when the chipset manufacturer isn’t really around. This is tough news to swallow for many of you, but the phone is now two years old.